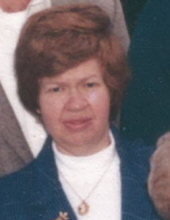 Jean M. Kieffer, age 63 of Richland Center, WI formerly of Darlington, WI passed away Sunday, March 24, 2019 at Richland Center Hospital in Richland Center. She was born August 17, 1955 in Darlington the daughter of Francis and Madonna (Lehnen) Kieffer. Jean graduated from Darlington High School in 1973 and later from Southwest Technical College in Fennimore, WI. Jean grew up in Darlington then moved to Monroe, WI where she worked for GreenCo Industries and later moved to Richland Center where she has resided since. Jean is survived by her siblings: Linda (Wayne) Utterback of DeForest, WI, Nicky (Rose) Kieffer of rural Darlington, and Ted (Debra) Kieffer of Dodgeville, WI; and many nieces and nephews. She was preceded in death by her parents; and one brother: Roger Kieffer in 2008. Jean was a past member of Holy Rosary Catholic Church in Darlington and St. Victor’s Catholic Church in Monroe. She enjoyed doing crafts and puzzles, and loved animals of all types. Jean will be sadly missed and fondly remembered by her family and friends. A funeral service will be held Monday, April 1, 2019 at Erickson Funeral Home (508 Main St., Darlington) with Rev. Joji Reddy of Holy Rosary Catholic Church officiating. Burial will be in Holy Rosary Cemetery. A visitation will be held Monday, April 1, 2019 from 9:30 A.M. until 10:45 A.M. with a rosary to follow at 10:45 A.M. at the funeral home. Online condolences may be expressed to the family at www.ericksonfuneralhome.com. For those who prefer, a memorial fund has been established in Jean’s name. To send flowers or a remembrance gift to the family of Jean M. Kieffer, please visit our Tribute Store. A rosary will be prayed at 10:45 A.M.
Memorials may be written to "the family of Jean Kieffer"
"Email Address" would like to share the life celebration of Jean M. Kieffer. Click on the "link" to go to share a favorite memory or leave a condolence message for the family.